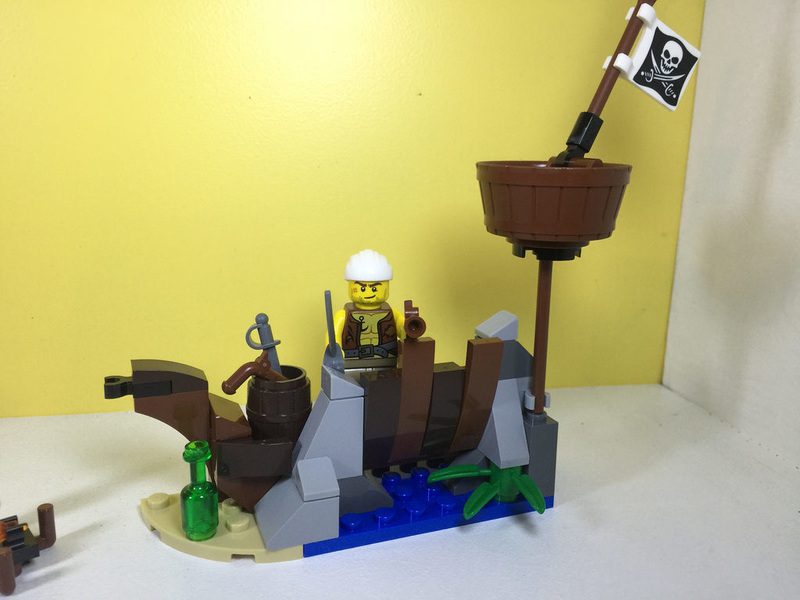 ​Of all the themes that LEGO has ever produced, one that sticks in my mind as an easy favourite has got to be Pirates. I still remember when I was a kid having big drawn out battles with great big pirate hideouts. The pirates would be taking on both the Blue and Redcoats almost every weekend. I never had a ship, so I’m still hoping to get one, but it was fun nonetheless. 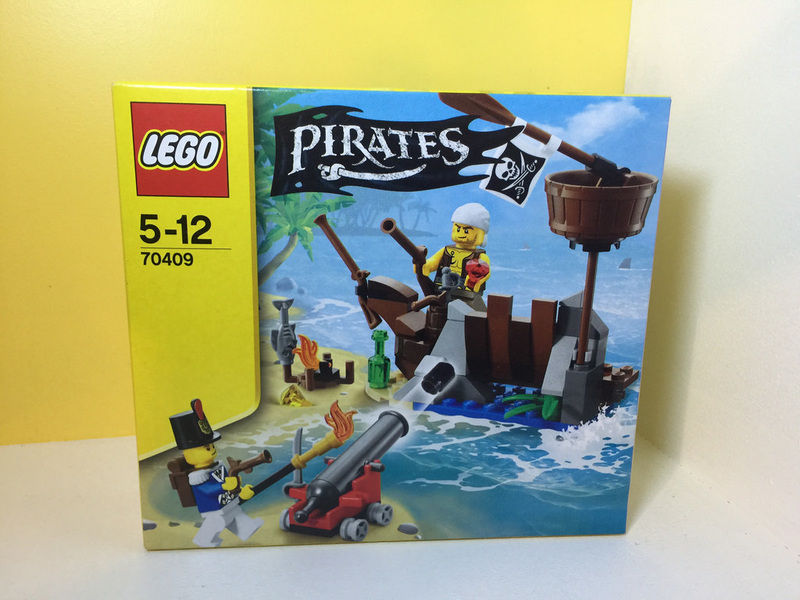 The pirates themselves were a pretty big deal for LEGO. Before the pirates sailed to our stores in 1989, the three themes that LEGO had were Town (now known as City), Space and Castle. When Pirates was introduced, it brought a whole stack of new elements, and different faces. The standard smiley face was not the only option now, with characters like Captain Redbeard, and his band of pirates standing off against the Imperial Solders, the Bluecoats and later, the Imperial Guard, the Redcoats in 1992. It was huge. With more animals to play with too, it was a massive release for LEGO, and one that is still a favourite among fans of all ages. It also spawned another sub-theme, the Pirates Islanders. This tribe was a much simpler bunch, led by the fearsome masked King Kahuka. They didn’t battle the pirates too much, but were prone to attacking a crocodile or two. But then, in 1997, the Pirates sailed away. In the years before, the Pirates lost a bit of their steam, and the sets got a little disappointing. 22 years later, in 2009, the Pirates came back for a single run. Captain Redbeard was now Captain Brickbeard, and the Imperial Guard got a bit of a facelift too. Other elements like the parrot were given a bit of a recolouring, but they all still fit with the classic Pirates. While the 2009 Pirates were a single run, they released an incredible set, 10210: Imperial Flagship. It was a great set, being the biggest ship LEGO had ever done. So now, in 2015, the Pirates are back again, and they look pretty good! Captain Redbeard is back with the Bluecoats not far behind. It’s great to see kids today getting into the sets that inspired adults like me all those years ago. ​Out of the box, you’ll get two parts bags and an instruction booklet. There’s a few new elements that we’ve got with this set. One is brand new, while others get new colours. From what I can tell, the Jolly Roger is new, as well as the bandana. 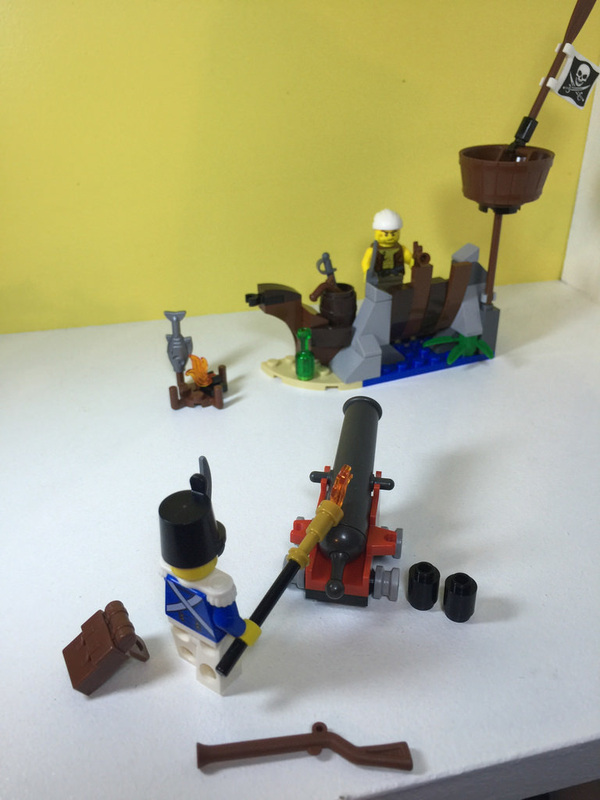 The cannon carriage gets a new colour, as well as the white epaulets on the Bluecoat. The h_at of the Bluecoat comes from the 2009 Pirates release, and it’s great to see some colour and detail on it – the original hats were straight black. Other great items include the knapsack, bottle, weaponry (including the much loved cannon), and even a fish. 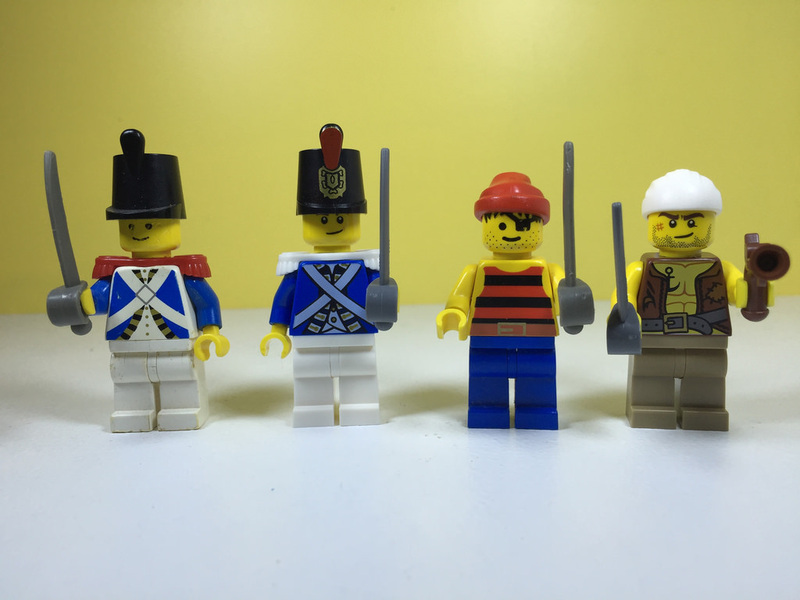 The minifigures got a big facelift, with great modern looking details on the minifigures, while still maintaining the classic Pirates feel. 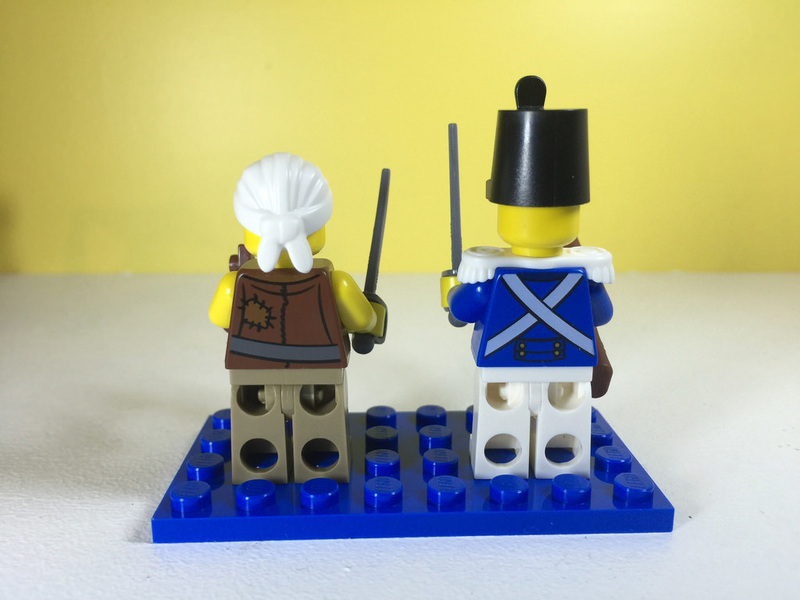 Included in the set is a Bluecoat, and a Pirate. 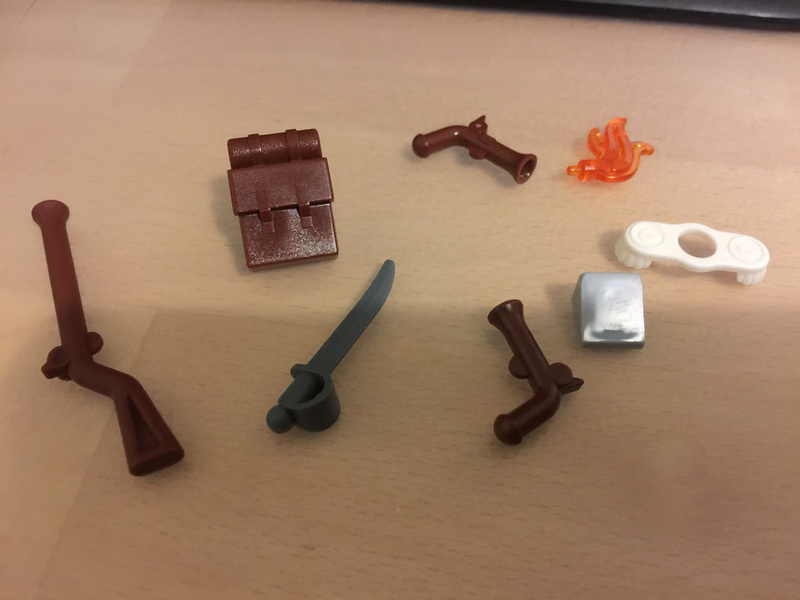 I really like these minifigures, and am very excited to see the next few sets! Here’s a comparison between 1989 and 2015’s minifigures. as you can tell, it’s quite an upgrade! I did notice though, that the straps across the 2015 Bluecoat aren’t as white. It’s only noticeable when seen next to the 1989 ones, but it’s still quite striking. I’m not really sure what are spares and what are extra weapons, but it’s not bad! It’s great to have a spare epaulet. The build for this set is great. It looks pretty simple at the start, but I had a big dumb grin on my face the whole time, remembering the joy I had doing this as a kid. The set does indeed look like a shipwreck, with the front of the boat clearly visible. The rocks are a nice addition, with some greenery thrown in. ​The inclusion of a crow’s nest in the set is great, and a fun addition, albeit not a very strong one. 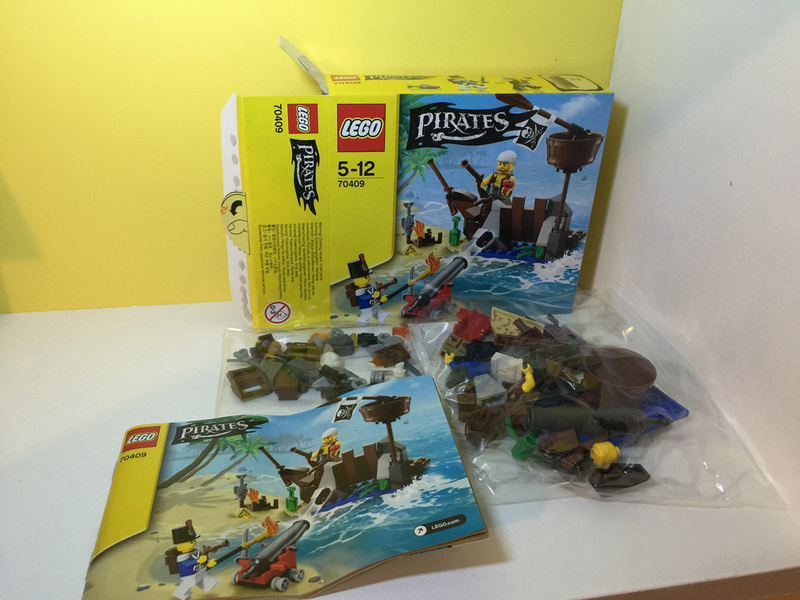 It’s great for an additional little scene for the Pirates displays, and LEGO has even suggested that it be built with 70411 to make the whole display a bit bigger. It’s brilliant that sets complement each other. There’s an action feature to the set, in that the side of the hull tips back if hit with a cannon ball. It’s a fun addition, but didn’t really move much when I peppered it with cannonballs. The cannon is still great fun to play with, and hasn’t changed since the original release. Time for a rating! To celebrate the second year of BricktasticBlog, I’ve changed up the rating system to make it more in depth and accurate. Each section will be rated out of 10, with an overall total out of 50 calculated from those.The sections are below, with an idea of what I’ll be looking for. Elements will look at the parts that are included in the set. If it includes parts that are new, in new colours, or rare, then it gets a higher rating. This will also include the minifigures. Swooshability is pretty simple. Do kids and adults like swooshing it around making silly sounds? Is it conducive to play? Things like moving parts and cool functions will help this. Build takes a look at the quality of the build. Is it strong or weak? Does it use good build techniques, or is it a pretty standard one on top of the other? Value for Money / Collectibility takes a look at the listings on Brickpicker.com (a great site for LEGO investing, and figuring out the values of sets over time) including price per element, it’s estimated value growth or loss in the future, as well as my own thoughts on the elements included for the price. It also looks at whether it’s worth getting for the collection. Finally, there’s the overall rating. This will be a total of all the scores listed above. It looks pretty in depth, but it will include more information on each aspect, not just overall, as they can tend to blur a bit! Lots of great elements to find here. 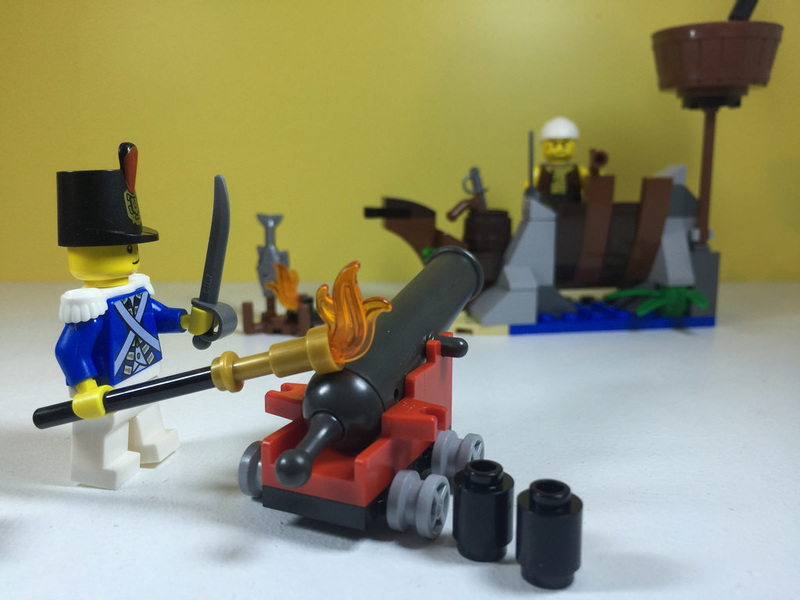 The facelift of the minifigures is brilliant, with lots of weaponry and classic Pirates influences present. Great for such a small set. It’s got an action function, but it’s very simple. The cannon is what saves it. It comes together nicely, with some very basic SNOT building techniques. The crow’s nest is very weak. A fantastic look, with a recognisable shipwreck. Not sure if the cannon and Bluecoat are meant to be in the water to fire a good shot at the hull, but it still looks great. For what you pay, it’s pretty standard – you get some extra weaponry, and other piratey things. 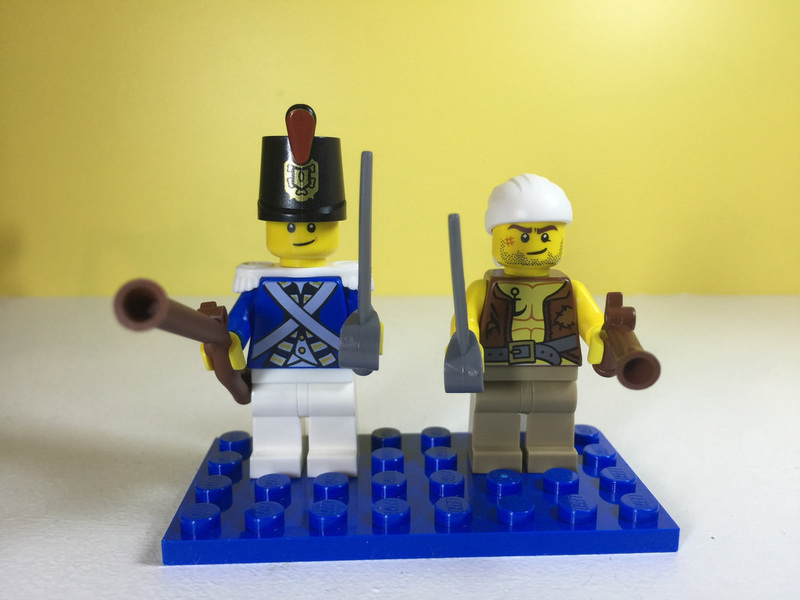 Minifigure wise, both are available in other sets, with the pirate being in the Brick Bounty set. It’s cheaper getting it from this set though. It’s only collectible if you absolutely must have the whole lot. Aside from that, it’s a pretty run of the mill set. Worth picking up for the extra bits and pieces, but I wouldn’t go out of my way to find it! Next on the list for review is 31031: Rainforest Animals. Time to check out a pooping parrot! What was your favourite theme as a kid? Let me know in the comments.